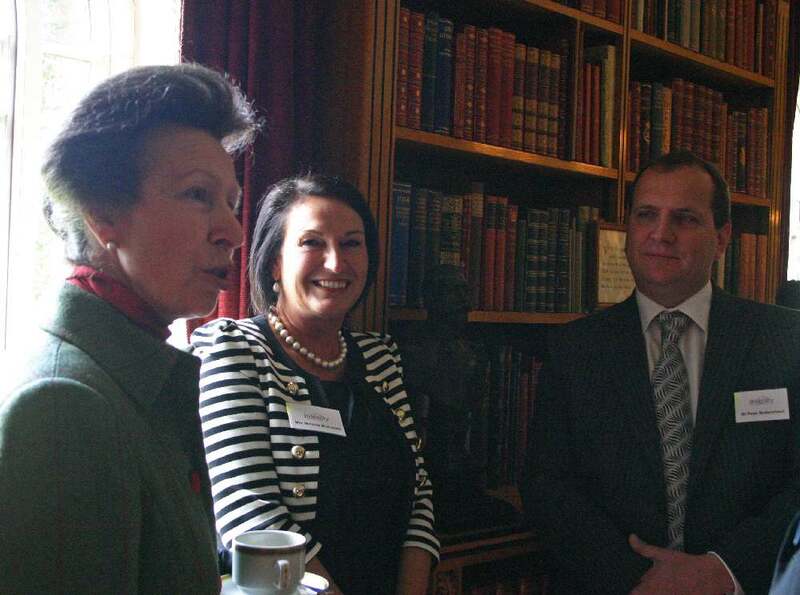 Anglian was represented at a very special event recently at Sandringham House in the presence of HRH, The Princess Royal. HRH is Patron of Livabiity an organisation dedicated to working with disabled and disadvantaged people and enabling them to have choices, opportunities and a degree of independence in their lives. Anglian’s Chief Executive Mr. Peter Mottershead and Melanie McDonald from the Marketing department were introduced to HRH and were able to explain directly to the Princess how Anglian are installing a conservatory into Livability’s latest project at John Grooms Court in Norwich. Livability is hoping to raise almost £700,000 to embark on a major building initiative to enable the 20 young adults at John Grooms Court to have their own flatlet within the complex which will allow for individual kitchens and bathrooms. Unlike most other accommodation in the area for disabled young people, residents have the opportunity to live independently and acquire new skills within a supportive environment. Anglian conservatories will create a year round communal relaxation area which can be used for indoor gardening and other hobbies. The reception in the Library at Sandringham House in Norfolk was a very unique event involving approximately 30 guests. These included retired ITN Economics editor Michael Brunson OBE, and the campaign patron The Rt. Rev. Graham James, Bishop of Norwich. Mr. Phil Gormley the new Chief Constable of Norfolk Constabulary was also on hand to hear about the excellent work being carried out by Livability. Michael Brunson interviewed one of the residents ‘Danny’ who is 30 and has cerebral palsy. Danny has lived at John Grooms Court for three years now. Danny said how much he was looking forward to the new facilities which will allow him to have a shower by himself and in private…. As well as donating the conservatory to this well deserving charity, Anglian are planning to further support John Grooms Court with help at fund raising initiatives later in the year. 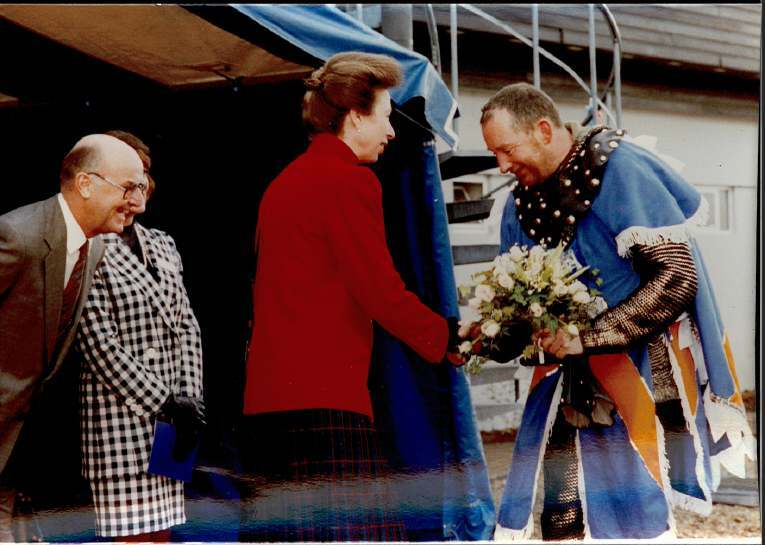 Anglian’s association with HRH, The Princess Royal goes back some 20 years. When Anglian was 25 years old, the whole company celebrated with a year of fund raising for another of The Princess’s charities Save The Children. In total Anglian people from manufacturing, installations, sales and head office all pulled together to raise a staggering £100,000 to help the fantastic work of Save The Children. The Anglian Knight was on hand to perform the chivalrous act of presenting a posy of flowers to The Princess on her arrival for a tour of the Norwich manufacturing facility. Mr Bill Hancock (Chief Executive in February 1992) welcomed Her Royal Highness to Anglian and all those who had been involved in the fund raising activities enjoyed lunch at Horsford Manor. HRH, The Princess Royal is also Patron of The Intensive Care Society. This charity is involved in supporting the Intensive Care Units in all hospitals across the UK. It gives huge support to families whose relatives are seriously ill in this vital area of care. Again, Anglian has been supporting the Intensive Care Society over the past few years and continues to do so. Watch out for more information on ‘the blog’ about a special fund raising challenge currently being undertaken for the society and supported by Anglian!